Leave your message below for RPCVs who served in Costa Rica. Does anyone know of Ed George or have an email address. I will be chaparoning a friends kids on a month long cultural immersion trip in Costa Rica this summer. We are looking for a place to rent for a month, July or August. It has to be suitable for 5-7 people. Simple yet spacious enough. We hope to befriend a community and make some long term aquaintences. Language and community service will be our focus. HUGE REUNION/FIESTA IN COSTA RICA IN FEBRUARY, 2003 AT THE VAN BEEK FINCA. I am organizing a reunion for late-1980s Costa Rica RPCVs for July 11-13 2006. Email me at nporto@dfpc.com if you are interested. we need to get you on the distribution list! Did you figure out the show? I am searching for friend by the name of KATHY MURRAY who was a Peace Corps Volunteer in Costa Rica from I believe 99 or 2000 until maybe 2002. We lost touch and I am desperately trying to find her. Any information would be helpful. Thank you! Message to all Costa Rica RPCVs that served from 1994- 1996: A 10 year reunion is being planned. Please contact Michele Farner at mwfarner@yahoo.com for more info. ITCR in Cartago from 78 to 80, CPH trainer in 80 anybody out there from cartago? Now married to Costa Rican, 4 kids, back to C.R. often for family and missions work. Construction business in Massachusetts. Dave Kitsen died. Peter Harris is in Maine. Guido Del Prado? Juan Coward? juan coward just retired last month or the month before. 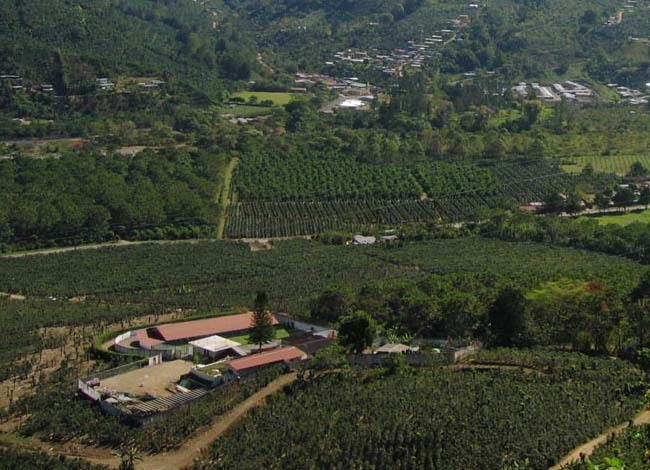 I'm a new invitee to rural community development in Costa Rica. I'm trying to find some recent RPCVs and get a few more perspectives before making my decision. Please email me at heidi_mariekoester@yahoo.com if you can help. I'm an AmeriCorps veteran looking for an old friend of mine who was recently surving a stint as an RPCV. She would have started in 2002 her name is Jenny Trow. If anyone knows her it would be great if you could pass my email on to her. There was an add in the Tico Times a couple a weeks ago for a position in Santa Ana in Costa Rica.....I was in Guatemala for a couple of months but I am now back at home and would like to know if this position is still available, or if there is another opportunity. I live in Santa Ana myself. Saludos a Los Granos Basicos de 73-75....Mark, Marc, Paul, Steve, Allen, Russell, Tom, Neal, David, Capt'n, Memo & Maria, etc. Ojala que estan "como un toyota". Veo que Juan Coward se pensiono'....se acuerda de Francisco, Iro, y Jody de Basico...buena gente. Que estan gozando de la buena salud y que Dios lo mantienen hasta que nos vemos de nuevo. !Pa' delante gente! Can anyone who served in the peace corp from the Phoenix Arizona area give a talk and share their experience about the peace corp with a girl scout troop in Scottsdale, AZ. Monday Oct 30th, evening preferred. I am looking for RPCVs from 81-83 from my group - we are missing Bruce Hawkins, Tom Porta, Paul Halbersadt, Craig Hetland, Dean Wiederin, Wayne Burke, Kapper Dan, Moe Rodenstein, Tamra Selfridge, Diane Sexton. Rob Crook here, I was in CR from 88 to late 90 working in forestry extension. Saludos a todos. Contact me if you want to chat. I am now in Carrboro, North Carolina. Trying to start up some environmental product companies in water and solar. The water product is very cool www.floatingislandinternational.com. Looking for Mike Sinkay, Upala, School Gardens program, late 70's. Any tips on where he is now? I am trying to get an email address for Mike Sinkay, an old high school friend. If anyone can help me, I would sincerely appreciate it. Please contact me if you have any information about Mike.